This website is a full-text archive of a number of important New Zealand texts, of interest both to the researcher and the casual browser. search works by person, title and keyword. This publication was commissioned by the Petone Borough Council to mark the centenary of European settlement in the area and the jubilee of the Petone Borough. Petone became the site of the first planned settlement by Europeans in New Zealand when the New Zealand Company set up the town of Britannia on the banks of the Hutt River in 1840. The town only lasted a few months, the settlers relocating to Thorndon after the river flooded. Petone started to develop again in the 1870's after the railway came through and became a significant industrial area. 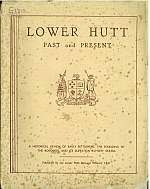 This book was published by the Lower Hutt Borough Council in 1941 to mark the jubilee of the Borough and the elevation of Lower Hutt to city status. It was compiled by local historian Lance Hall. William Robertson was a leading advocate for the consumer co-operative and community centre movements in Naenae immediately after World War Two. Naenae was conceived as a planned community. Robertson tried to make consumer co-operatives and a community and health centre an integral part of the development. He helped form the Hutt Valley Consumers' Co-operative in September 1945. He was able to interest the Prime Minister Peter Fraser and local MP Walter Nash in his ideas as well as community groups in the neighbouring suburbs of Taita and Epuni. However Robertson was not able to realize his vision. The government withdrew their support for community health centres after objections from the Medical Association and the residents of Naenae rejected a proposal that entailed contributing to the cost of setting up a community centre. Robertson was deeply disappointed by these setbacks and responded by writing the Final statement. He laid much of the blame on Walter Nash, accusing him of sabotage. Naenae represents a significant example of community planning in New Zealand. The Final statement is a key document in understanding what was attempted and what actually developed. The New Zealand journal was published under the auspices of the New Zealand Company. 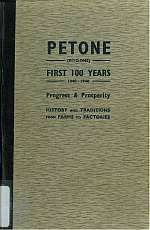 Publication began in February 1840, about the time that the first settlers arrived in Petone, and ceased in 1852. 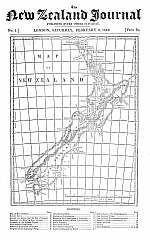 The Journal is a significant source of information for the first decade of European settlement in New Zealand, particularly in the Hutt Valley and Wellington. While it contains much about the New Zealand Company and was used to promote their interests it also carried relevant extracts from other publications and published letters from the settlers to friends and family in Britain. This site offers issues from 1840. 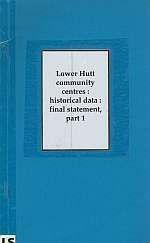 Hutt City Libraries intend to add issues from later years. Full sets of the Journal are held by the Alexander Turnbull Library, Auckland City Libraries and Hocken Collections. The issues available in this online collection were scanned from originals held by the Alexander Turnbull Library.